As many of you know already, I was selected to be a Sabra Tastemaker. 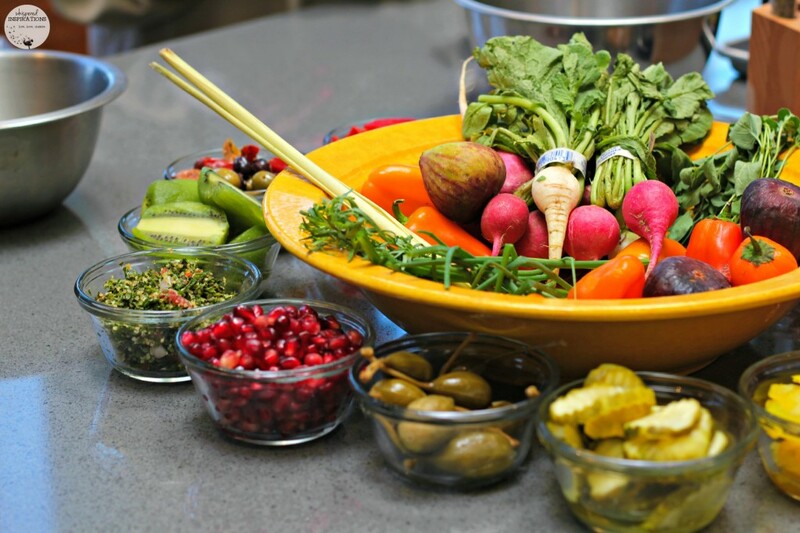 I will be sharing recipes and everything you may like to know about Sabra hummus, guacamole, salsas, cold salads and more! 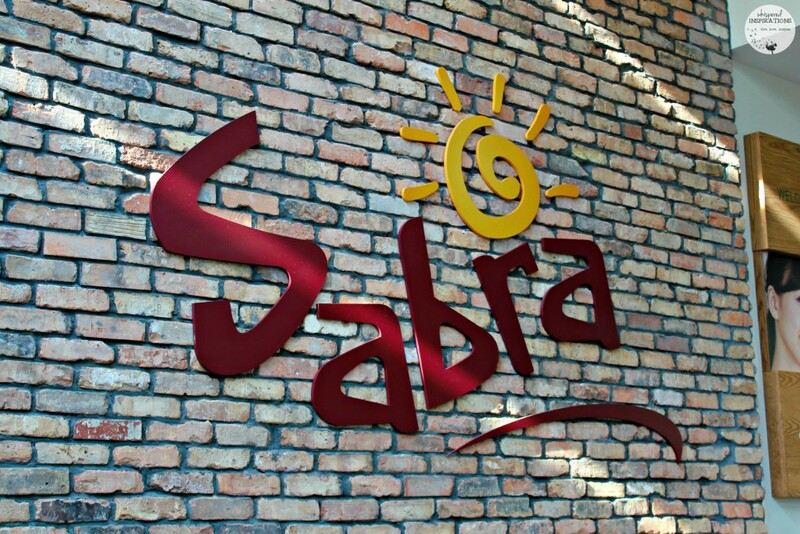 You may only know Sabra for their hummus and I won’t hold that against you. Especially considering that it is pretty amazing with all its creamy goodness. But, they are much more than just hummus and I’ll be happy to let you all in on it. 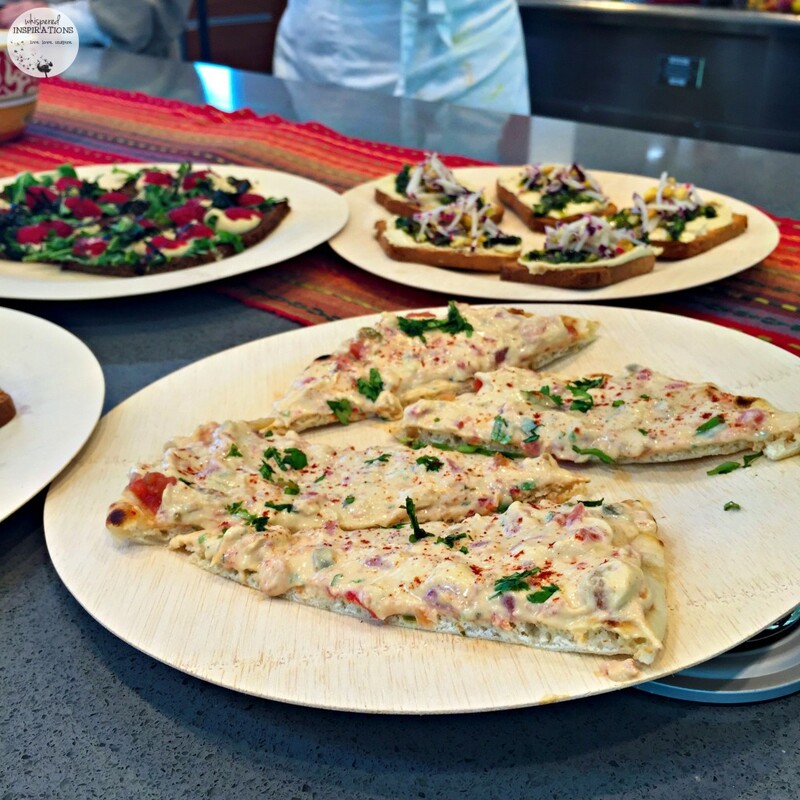 I was invited along with 3 other Tastemakers to visit Virginia and tour the Sabra plant. 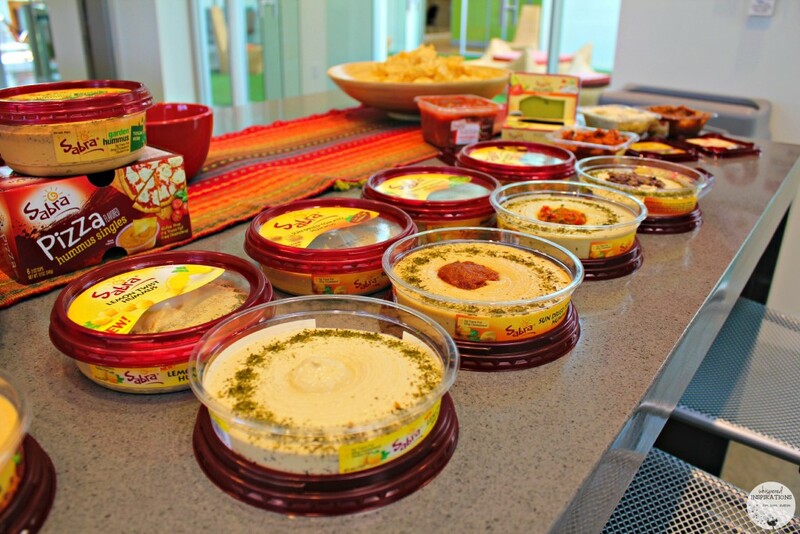 Especially to get to know more about Sabra as the company behind the hummus. Walking into the plant, I was surprised at how it didn’t feel like a plant at all. 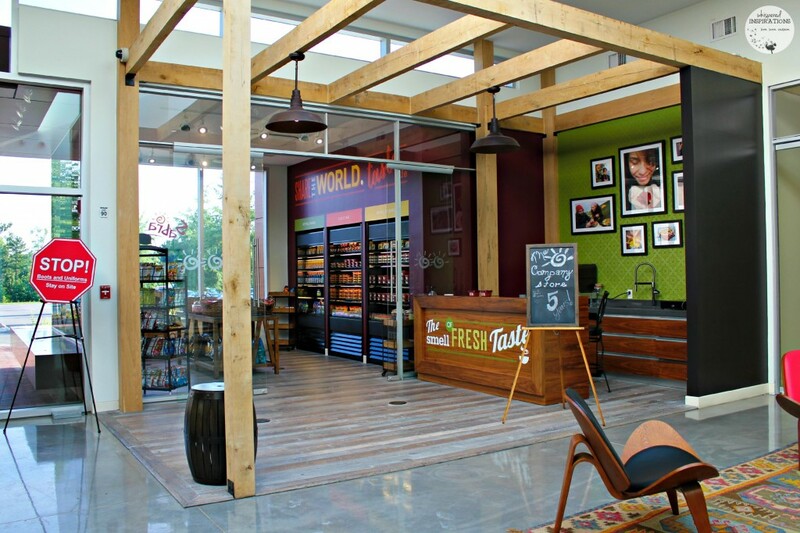 In fact, the plant lobby itself is very welcoming and they even have their own store where you can pick up fresh products. We came in and were greeted by the friendly front desk staff, we were signed in and given the go to take a look around. Sabra began manufacturing hummus and salads to the kosher market in NY in 1986. It all started from there to eventually hit the general market in 2004. In that same year, Sabra’s “Go Mediterranean” concept is born as well as the game changing and totally iconic clear lid with red rim and center garnishes take over. 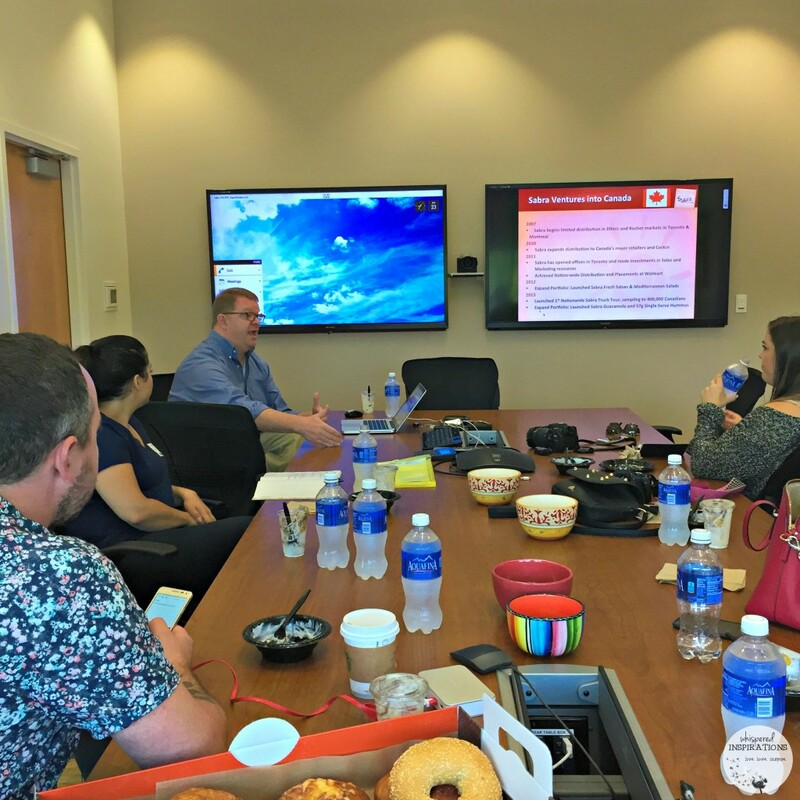 One of the things that we learned is that Sabra is very aware of their consumers and when a shift began and consumers wanted a healthier lifestyle, Sabra filled that need. Just being around the Sabra team, you can tell that they don’t operate as most companies do. They seem more like a family. One that works well together, complement one another and work towards a common goal. 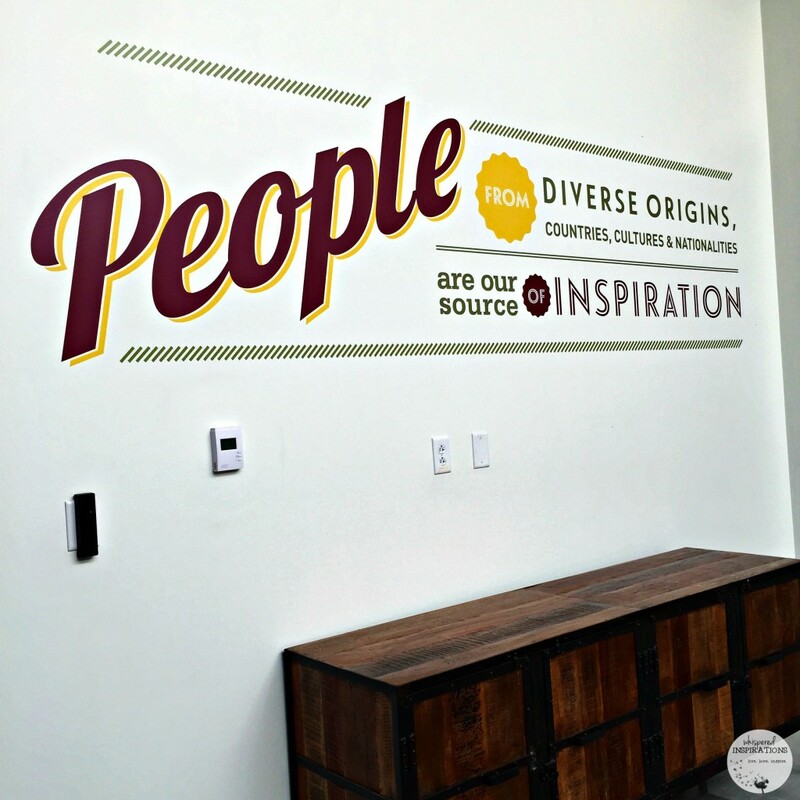 I also love that what drives their company is Passion, Openness, Trust, Diversity, Caring and Daring. They believe they can offer their consumers something different and unique that is based on authentic purpose and values. 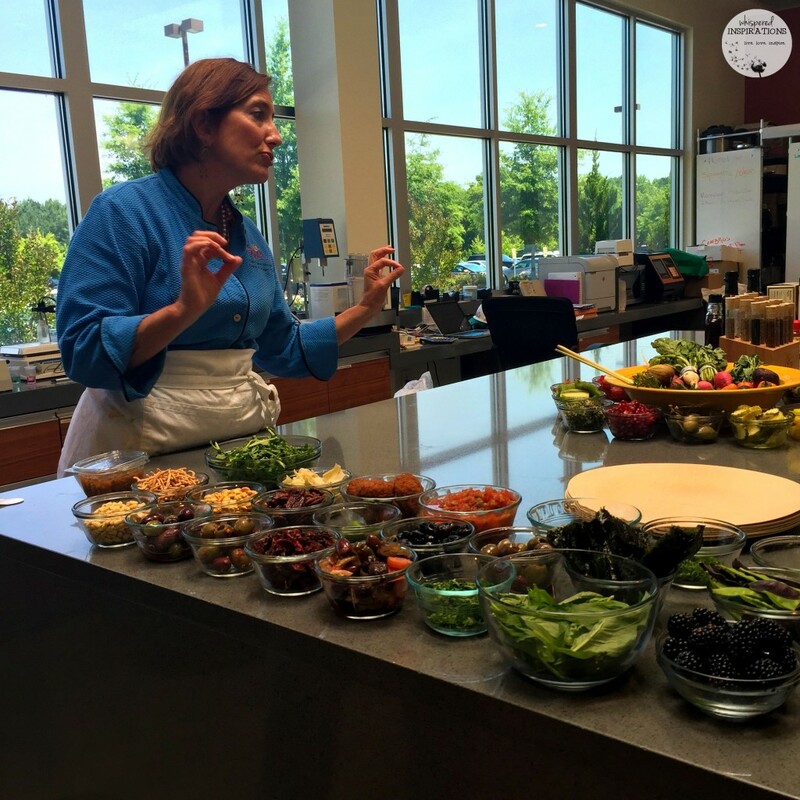 One of the biggest highlights of our trip was the chance to step into Sabra’s test kitchen (the one they use daily to test quality) where they develop new flavors and try new recipes. 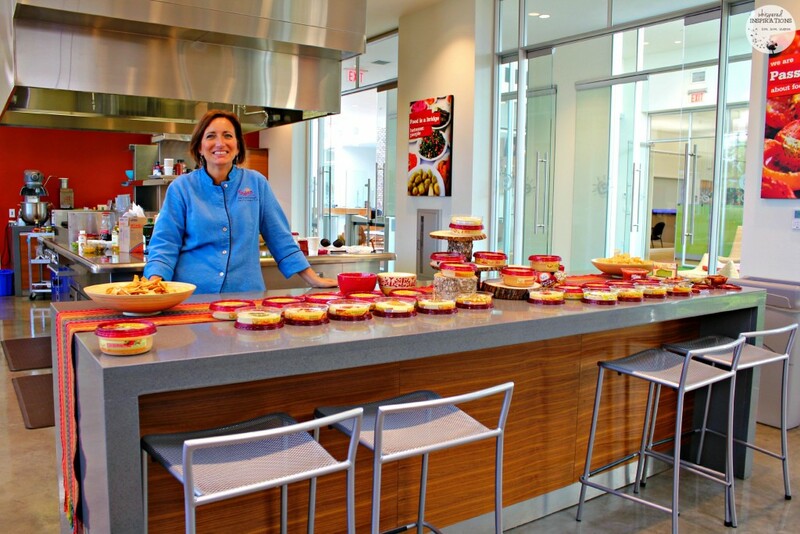 Sabra’s Executive Research Chef, Mary-Dawn greeted us and she had an array of different hummus on display and to taste. She taught us the proper way to taste hummus in order to be able to taste all the ingredients in it. How do you do this, you may ask? Well, you take a spoon, plug your nose and exhale out while tasting it with your tongue. You’ll be surprised how that isolates your palette and how the flavours come through. Sabra is made with fresh ingredients with the best quality chickpeas, blended with sesame tahini, mixed with Mediterranean herbs and spices and topped with an assortment of savoury toppings. Did you know that tahini and chick peas have high nutritional value that contain protein, fibre and unsaturated fats? Hummus can contain about 25% less fat than cream-cheese based dips and can be used a substitute for spreads like mayo. After we had taste tested some new flavours, we got to nosh on any flavour we desired. I am a huge fan of the spicy variety so I gravitated to those but, the new Caramelized Onion with Smoked Paprika was incredible! 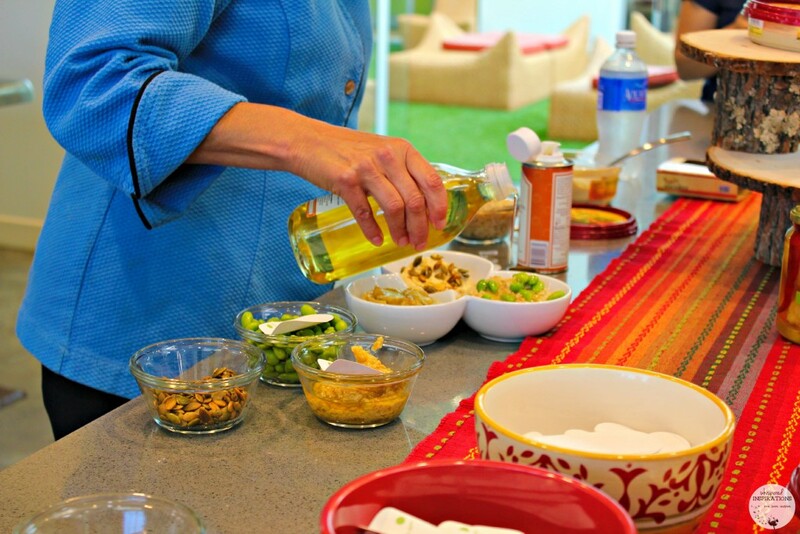 Mary-Dawn then showed us how we can take our hummus to another level by adding healthy oils and even healthier toppings like edamame, pumpkin seeds, lemon and so much more. 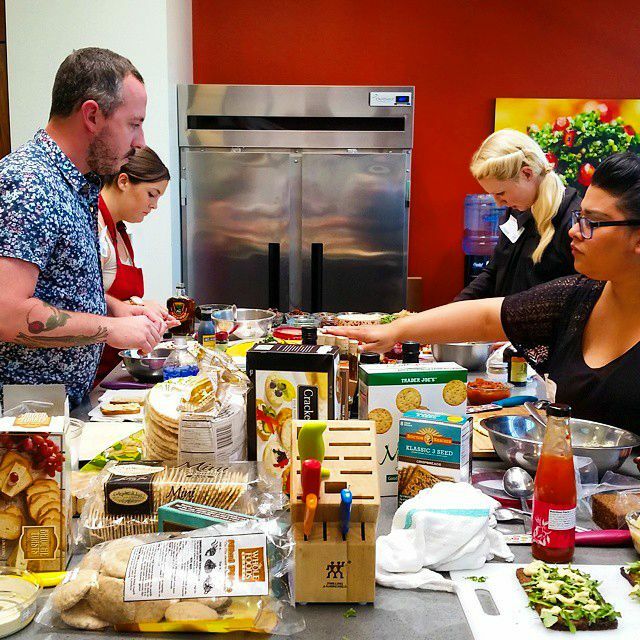 There really is nothing like the chance to cook in a test kitchen, a place where new ideas are born and recipes created. Recipes that eventually hit the general market. It really is pretty cool! Well, Mary-Dawn had the kitchen set up for us to take part in a timed competition to see which Tastemaker would come out on top. As you can see, we had everything we needed to spark some creativity and amplify flavour. Pictured above are all of 2015’s Tastemakers, Cat from Querelles.ca, Abbey from Abbey’s Kitchen and Dan from Dan’s Good Side. We were all in the zone and engrossed in our recipe creation. While some of the Tastemakers were very gourmet oriented, I decided to stick to what I know best. Something simple, that packs a flavour punch and is kid-friendly. Kids love anything that has the word pizza in it and luckily, my kids love hummus too. Usually kid-friendly recipes are adult-friendly too because they are flavours that everyone enjoys and aren’t too sophisticated for the palate. I used Original Sabra Hummus and mixed in extra virgin olive oil and Aleppo pepper. I chopped up some roasted red pepper and roasted garlic and mixed it in. I also used diced coriander, Sabra salsa and naan bread. I spread the salsa onto the naan bread and next I slathered on the hummus mix. I topped it with coriander and sprinkled it with paprika. While it wasn’t gourmet, I promise you it tasted really great! It didn’t take the cake this time in the test kitchen but, I know that it would be a hit in ours! The challenge was fun and it was great to see different ideas! After the challenge, it was time to walk through the factory and get to know Sabra in a more up close and personal way. 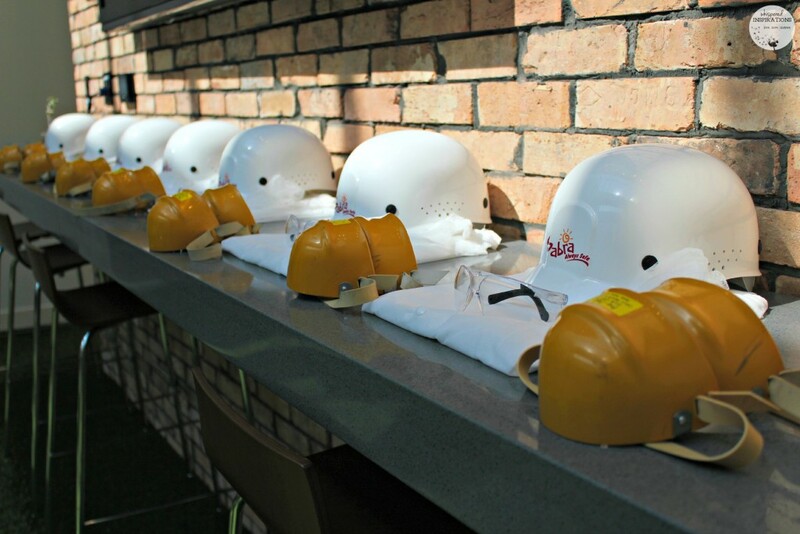 We geared up and we were greeted by a Sabra employee who took us through a tour of the offices and the main areas. We washed up and started our tour into the plant. Our first stop was to see the chickpeas and how they were stored, cleaned and processed. They are stored in ambient temperature and the system that Sabra has to monitor the process is very high-tech. We watched the chickpeas being cleaned and then cooked and then sent off to get processed. Let me tell you, it got steamy! But, then we had the opportunity to see them in an assembly line and to watch the savoury centres being placed. We also had the unique experience to see the packaging area and that alone was amazing to see. From chickpeas to the iconic clear container, it is all done in a controlled environment. I can tell there is great pride put behind making Sabra products and it is no wonder why they are the leaders in the hummus world. One thing is for sure, I can tell you that I feel incredibly happy and content that the hummus I buy from Sabra is quality. This is me, speaking as a consumer first. I saw with my own two eyes the care that they put into having a sanitary and sterile environment. In fact, I wore rubber boots, full gear, no jewelry, hair nets and covered up my piercing with a band-aid. So yes, it’s super clean! Each room is temperature controlled and food safety is on the top of their list at all times. On top of that, the Sabra team was very welcoming and super generous to take us folks on this incredible trip. It really helped to see the process behind the product and to get to see their passion firsthand. So a big thank-you to them for allowing us the opportunity! Overall, I saw that not only do Sabra employees treat each other like family; they really do take inspiration from every day people. People with different origins, different tastes and desires. 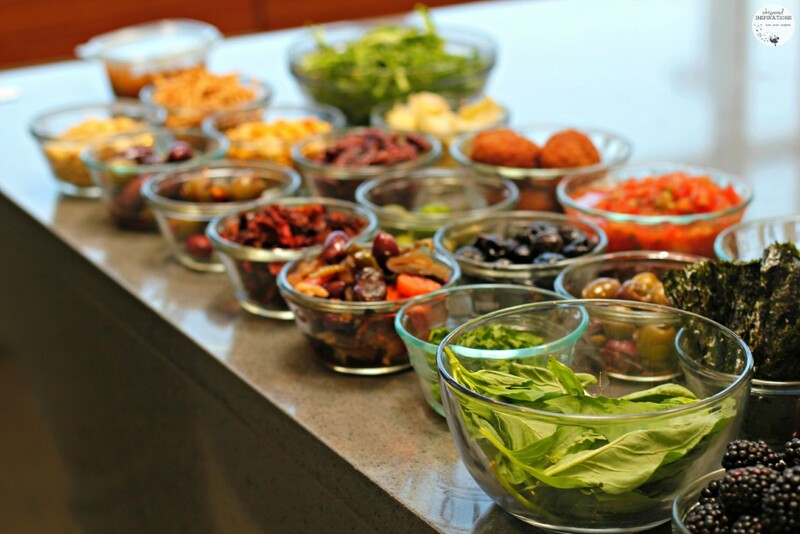 Hummus is an amazing food and it is diverse and is not just a spread, the possibilities are pretty endless. All you have to do is just step out of the box. Stay tuned for upcoming recipes in the next few months that I think you will enjoy! How do YOU use hummus? I would love to tour the Sabra factory, or any food-related factory. Those shows on TV that take you behind the scenes are always so cool to watch. I agree, it is great for curious minds. That looks like so much fun! I practically live off of Sabra hummus. Same here. My kids love it too. What an interesting tour. I love behind the scenes stuff like this. Me too, I am always very curious! Ooooh, the salsas and guacamoles are AMAZE! This would be such a fun tour. I love Sabra products. I would love to see how it is made. It is a great process and it was a great experience! Thanks so much for that, I would be happy to show you some more! 🙂 I agree though and it is my pleasure. What a fun factory to get to tour!! I think that is one place it could be dangerous to be a taste tester. What a great experience! My recent post Gaining Confidence Back With GoodNites TruFit!! Let me say, we did go through a lot of hummus that day. Yum! I love sabra! Their hummus is delicious! I would have to wholeheartedly agree! Wow this is such a cool tour. I like hummus but I don't have it very often. I'd love to try Sabra's spicier varieties! The spicy are my fave. So good! I would love to tour the Sabra Factory! Everything looks delicious! Mmm, it is! I went home and stocked up on it! I love hummus! What a cool behind the scenes experience! It was very eye-opening. In a good way! How fun for you. I have never tried Sabra before, sounds awesome. Oh, it is so tasty! What a fun experience. I have tried a couple Sabra products and they are great. Hummus pizza sounds interesting.